“Our patrons enjoy the opportunity to make a specialty cake such as Elmo, Barbie, or LEGO without the expense of buying a pan they may only use once," says Denison (TX) Public Library director Kimberly Bowen. Patrons can check out three cake and cookie molds at a time and renew twice. They’re asked to hand wash items and dry thoroughly before returning them to the circulation desk (not the book drop); a $2.00 charge results if items aren’t clean. So far, nothing has come back damaged. STEAM science kits can also be checked out from DPL. The themed sets include an aircraft engineer kit, a human body kit, Snap Circuits, and K'NEX building sets. Patrons can check out two kits at once for two weeks; pickup and return happen at the front desk. DPL hopes to add circulating fishing poles, tackle boxes, sewing machines, and craft kits. 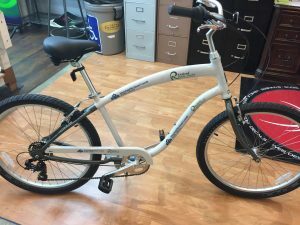 A grant from the Richmond (OH) Public Health Department underwrote bikes for the Mansfield/Richland County Public Library (MRCPL) in Mansfield, OH, which has been lending them since fall of 2017. Bicycles with headlights, taillights, locks, bells, baskets, and helmets, are loaned for the day and must be returned 30 minutes before the library closes. The library maintains the bikes with volunteers from a local bike group, Richland Moves. They’re stored in the winter and available in the warmer months. Riders must present a photo ID and library card and sign a user agreement and liability waiver. The Singleton Library in Singleton New South Wales, AU, offers nearly 400 educational toys, games, and puzzles focusing on developing cognitive and developmental skills. Checkout is for three weeks, and items may be renewed twice. The toy library was originally run by a local organization called Uniting Care Disability, but the library took over when the service was eliminated. A community investment program purchases new toys. The library charges an annual membership fee of $33 dollars per family. All the toys are cleaned upon return (sometimes by library volunteers); new purchases must be easy to clean. A seed library display at Watauga County Library. Right: Patrons look at seed packages on view in an old card catalog. The Watauga County Library in Boone, NC, promotes healthy living with its seed library. Through funding from Blue Ridge Women in Agriculture, the library collects, catalogs, and checks out open-pollinated seeds (seeds that, once planted and grown, will produce plants similar to the parent). Patrons don’t have to return seeds, but the library offers seed-saving information and workshops if they wish to. When the seed library started in April 2017, it was supported by several independent seed companies, local businesses, and members of the growing community. Seeds are cataloged alphabetically and housed in old card catalogs. Patrons fill out a form indicating what they are taking and if they plan to save seeds from grown plants. Patrons can take up to six packets per family; users can also register to be dedicated seed savers at the library by filling out a form. 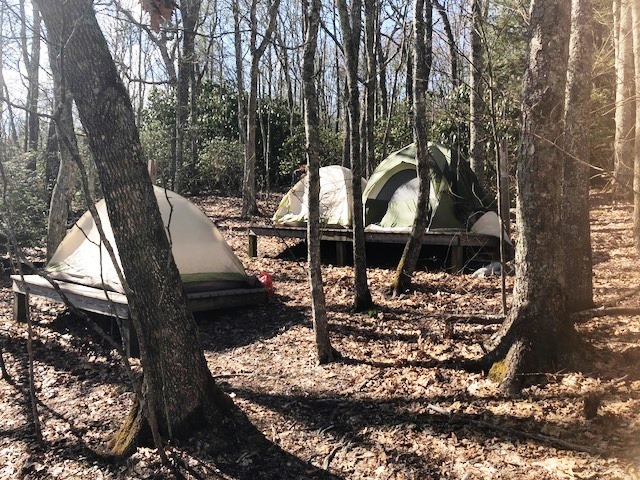 Students from an AP environmental group used these tents from the Enka High School media center during a trip to the to North Carolina's Smoky Mountains. Nestled in the North Carolina mountains, the Enka High School Media Center in Candler lends camping equipment. A local grant underwrote four-person tents, sleeping bags, and Kelty backpacks that can be used over the weekends, during spring break, and for school-affiliated field trips. Mostly, the equipment is used for school-related overnight camping trips, but students can check it out on their own with parental permission. "They stay relatively clean, but we still need to use the washing machines periodically, and we need to air out the smoke-scented tents upon return," says media coordinator Stuart Annand. 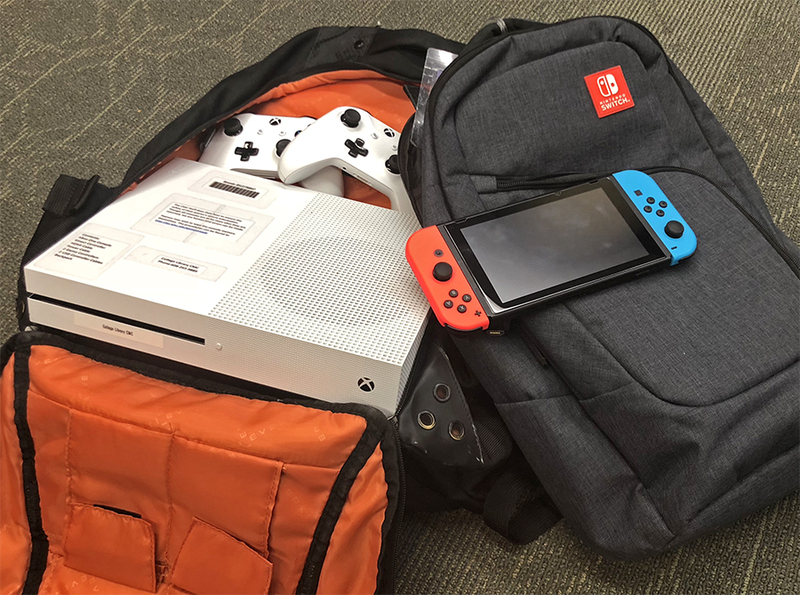 A popular program at the College Library at the University of Wisconsin-Madison lets patrons reserve and checkout game consoles for three days. Items include the Xbox 360, Xbox One S, Playstation 3, Playstation 4, Nintendo Wii, Nintendo Wii U, and a Nintendo Switch. Patrons reserve online and pick up and return the consoles at the help desk. They’re not renewable; late returns result in a daily $20 fine. “There have been very few issues,” says technology operations specialist Crague Cook, except that most people want a longer checkout time. 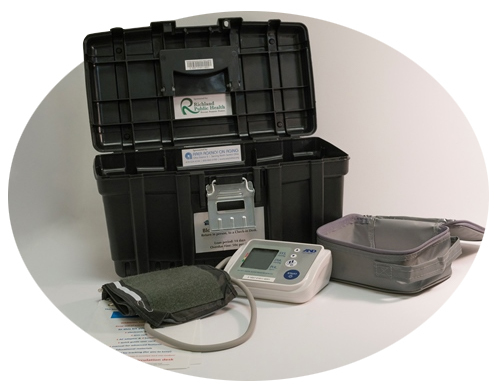 The MRCPL also offer electronic Blood Pressure Monitoring Kits, also sponsored by Richmond Public Health and are available to patrons 18 and older. The kits are loaned for two weeks and must be checked out and returned in person; they’re subject to a daily overdue fine. The kits should be kept in a temperature controlled environment (not a car). Deputy director Mary Frankenfield says that the most common problem they encounter with lending the kits is getting all the pieces back. "We have had to purchase a couple of replacement pieces, but not so many." Inspired by the makerspace movement (and a former assistant director who is also a musician), the Library of the Chathams in Chatham, NJ, started lending musical instruments in September 2015. Funding by the Friends of the Library of the Chathams purchased an acoustic guitar, ukulele, trumpet, flute, and a full-size 88-key keyboard, with plans to buy a smaller keyboard. Checkout is for two weeks, with a contents list noting replacement prices. Items such as the flute and trumpet include a cleaning kit. Instruments can be reserved in advance and aren’t available through inter-library loan. The only damage so far was broken guitar strings, which a patron replaced. The library also loans telescopes, a FitBit, and Google Cardboard glasses. At the Cuyahoga Falls Library, we circulate Perplexus toys (a kind of maze-in-a-ball), Oregon Trail handheld video games, Rokus, battery chargers, Merge Cubes (augmented Reality) and ukuleles, among other things. It's a hit with patrons! Brown County Library hreadquartered in Green Bay, WI checks out guitar pedals and they are very popular! We also check out cake pans, carnival games, Kindle Fires, Chromebooks, Watt's Up Meters, Arduino kits, and mobile hotspots. We'll be adding ukuleles in the near future and are brainstorming new items to add to our Library of Things. The Port Townsend Library in Washington state has a small but great unusual collection which includes such items as a sizzix machine and several die cuts that can be checked out. We have craft kits that can help patrons learn how to knit, crochet, cross stitch, drop spindle, or loom knitting. American Girl dolls are very popular, as are the robots, Dot and Dash. A telescope that was donated and a guitar, projectors, bear vaults. We have a very popular collection and are working to slowly increase it. Space, however, is a major problem. . The Bloomfield Township Public Library circulates games and toys (many adaptive with capability switches), speech therapy card sets, Discovery Skills Kits, story boxes, (ASL) signed story kits, interactive books, etc. in our Youth Special Needs Collection https://btpl.org/youth/special-needs/. The collection was first opened in 2009 and has nearly doubled in size (and popularity with the community!) since then. There is a Toy Library in Rochester, NY that circulates 1000 of toys! They are in a separate area than the children's room with their own staff and programs. Check it out sometime!